The Edward Schillebeeckx Foundation has set itself the goal of collecting, organising, preserving and rendering accessible the entire output of, and material about prof. mag. dr Edward Schillebeeckx, whether written, printed, audiovisual or in any other format. In so doing it seeks to safeguard for the future the spiritual, scientific and social values contained in this work and to transmit them in perpetuity. The Foundation will achieve this goal in collaboration with the Dominican Order, which pursues the same goals. From: Statutes of the Edward Schillebeeckx Foundation, dated 18.04.1989, Section II. The Edward Schillebeeckx Foundation (ESF) is named after prof. mag. dr. E.C.F.A. Schillebeeckx. 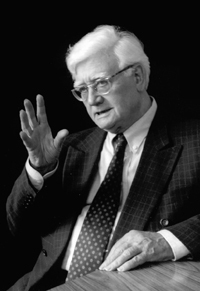 The theologian Edward Schillebeeckx (born1914) has played and is still playing a major role in ecclesiastic and theological renewal. Through his scientific studies and applied scientific pastoral books, sermons and lectures he is able to inspire a wide reading public, not only within the Christian churches but also outside them. As a theologian Schillebeeckx operates at the interface between a bygone age and our own time. Many see him as pioneering a fresh understanding of faith, in which mission is acquiring a new character marked by greater appreciation of the distinctive properties of both Christianity and other religions. For, according to Schillebeeckx, God’s truth is so abundant that no single religion can interpret him fully, nor can our knowledge of God be grasped by the best of all religions put together. For God is new every moment and greater than all religions combined. 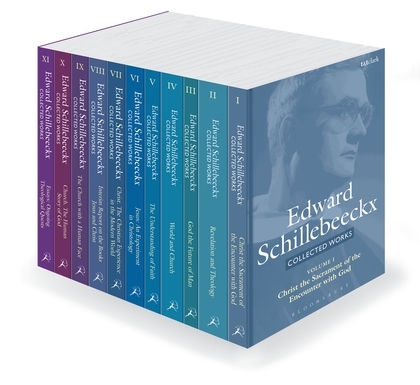 For people whose historical freedom is giving them plenty of experience, which need not conflict with their religious understanding, Schillebeeckx’s theological legacy remains of immeasurable importance, although the treasure has to be unearthed from his complex publications. These demand a great deal of effort from readers and researchers, and the legacy needs to be rendered accessible. There is also a danger that Schillebeeckx’s notions about faith and the church, its ministry and sacraments, may be misinterpreted in an age of discontinuity and reorientation or may be swept aside by reactionary forces. This the Foundation seeks to prevent by finding appropriate expert “translators” who will be able to study his work critically and place it in its current ecclesiastic and theological context. The foregoing explanation encapsulates the aim of the Edward Schillebeeckx Foundation’s activities. The Foundation undertakes to collect, organise, preserve and render accessible the intellectual legacy of its name-giver in a manner that will enable interested parties in the church and at universities and other institutions in society to profit by it. Management greatly appreciates the cooperation of representatives of these institutions. The Foundation greatly values the cooperation of the Dominican Order in all its affiliated communities of brothers and sisters. 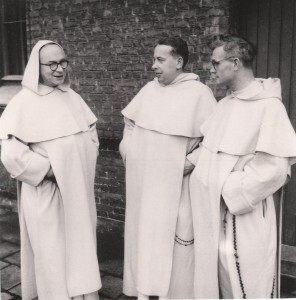 Without their conviction of the importance of Schillebeeckx’s theology and the active support of Dominicans the envisaged activities would not be feasible. Apart from financial support from Dominican communities, the Foundation has also received contributions from a number of orders, congregations and private individuals. All these donations have made it possible to finance the secretariat of the Foundation. Management is deeply grateful to these donors for their contributions. 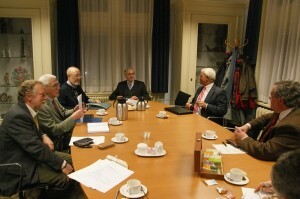 The Foundation also values the cooperation of the Radboud University Nijmegen and its Faculty of Philosophy, Theology & Religious Studies in particular. This cooperation has taken the form of instituting a rotating chair specifically in honour of prof. mag. dr. Edward Schillebeeckx. Where possible the Edward Schillebeeckx Foundation would like to collaborate with other scientific and educational institutions of a theological and philosophical nature in order to ensure even wider knowledge and dissemination of the intellectual legacy of Edward Schillebeekx.